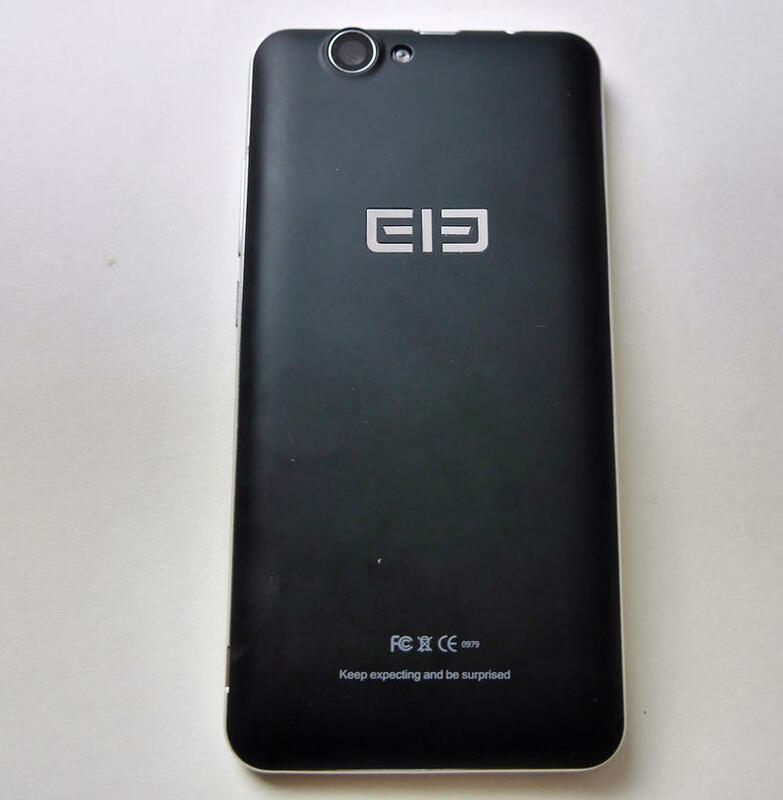 Elephone P5000 lightning review: Is it more than a large battery? An elephant never forgets. Unfortunately the Elephone P5000 is more Dory the Blue Tang than that Horton the “Who” hearer. During nearly two weeks attempting to use the P5000 as my only phone, it wowed me with one great feature, yet pushed me away with a bevy of problems, including usability, remembering settings and connecting to the world. Let’s start with the good. If you’ve ever wanted a phone that could last for days, the P5000 looks pretty attractive. With a 5350 mAh battery, it packs twice as much juice as many popular phones on the market, and costs around $210 unlocked. My regular phone-toting routine includes reading and writing email, watching video, WiFi hotspotting, frequent navigation sessions using Waze, and shooting a lot of photos and video. I twice coaxed nearly three days out of the P5000 without running out of juice, and during the entire time never had to worry about running out of power. 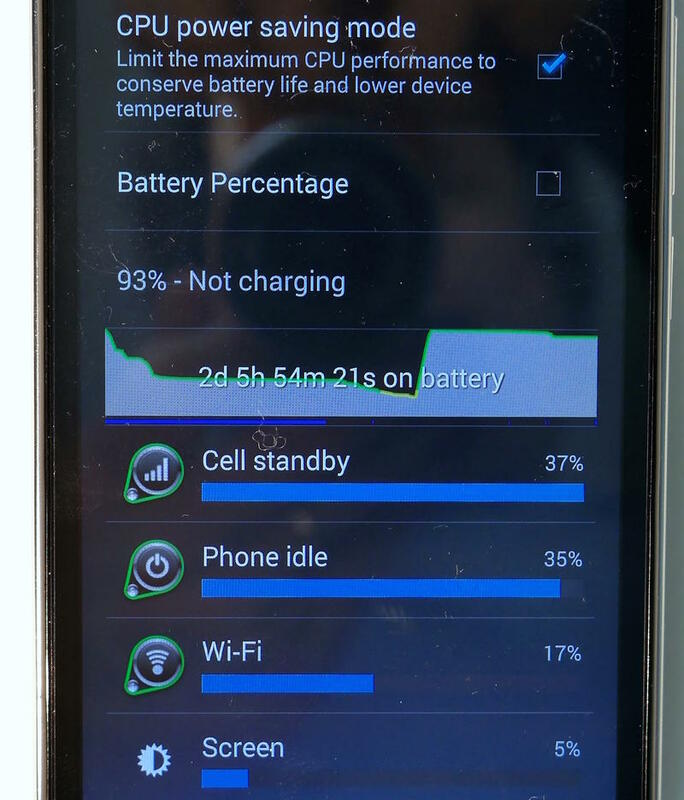 As you can see from the below image, during “battery saving mode” the phone predicted more than two days of power based upon my usage. That’s more than double what I’ve seen with most other phones. And the phone itself is certainly serviceable. The 1080×1920 5” IPS screen is crisp and bright. The device supports two sim cards, and allows you to expand the 16GB internal storage via a microSD card. Although not amazing, the 16 megapixel rear camera produced serviceable results in decent light, and passable photos in low light. With a battery that big, it’s certainly not svelte and lithe. 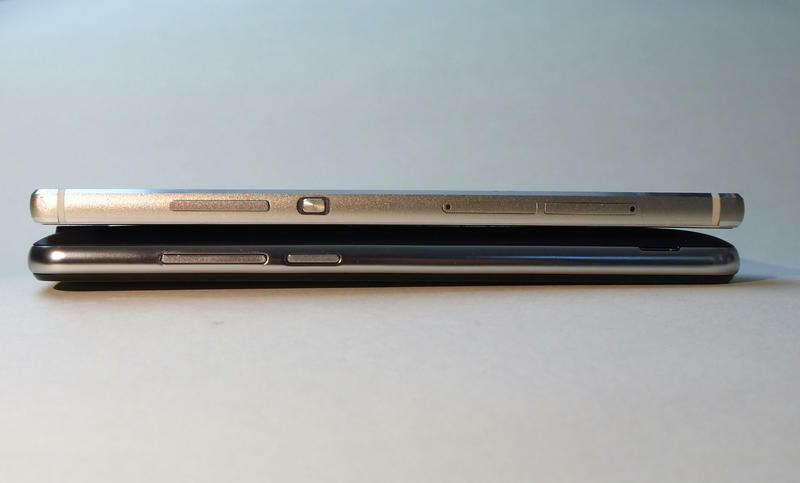 The P5000 is about twice as thick as the super sleek Huawei P8, while at 7.3 ounces it’s almost twice as heavy as the iPhone 5. The bottom buttons offer an interesting hybrid – the large center physical button is flanked by two soft buttons. And even though the Mediatek MT9592 Cortex-A7 processor and Mali-450MP GPU are getting a bit long in the tooth, performance was snappy. But apart from a small sliver of users, the drawbacks just don’t justify those benefits. 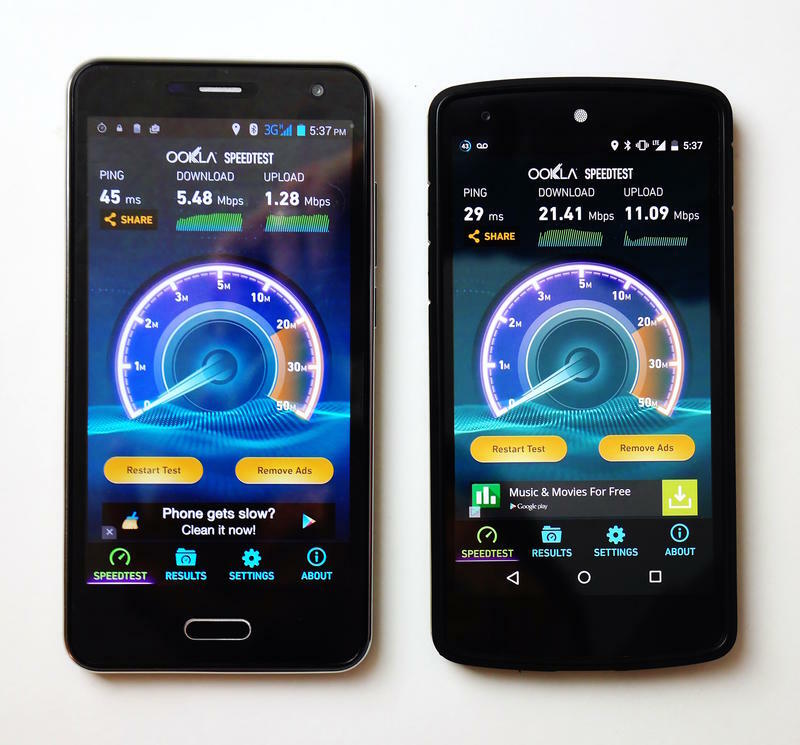 The biggest issue for U.S. consumers: the GSM phone lacks 4G networking, instead topping out at 3G HSDPA. That means it runs considerably slower in many parts of the U.S. I compared the P5000 to a Google Nexus 5 at my house, where I have decent 4G T-Mobile coverage, and the Nexus delivered nearly four times the downspeed performance than the Elephone. Upstream bandwidth was even worse, with the Nexus delivering more than 8.5 times as much speed. Clearly you’ll not be Periscoping, Meerkating or uploading large files regularly without WiFi connectivity. Although I can come up with a few good reasons why an inexpensive phone with long battery life – yet lacking 4G – could be useful. T-Mobile customers headed abroad, for example, might find it a good match for the free international roaming that throttles bandwidth down to well below 3G speeds. Parents might find it an ideal phone for their kids, as a way to keep them from burning through their pre-set data limits. Unfortunately the rest of the phone just doesn’t justify even those uses. For example, the phone constantly “forgot” what time zone I was in, and kept trying to put me in the Eastern Time zone (I live in California), or had me travelling away from my local time zone. I constantly had to “remind” it that I was in +8. 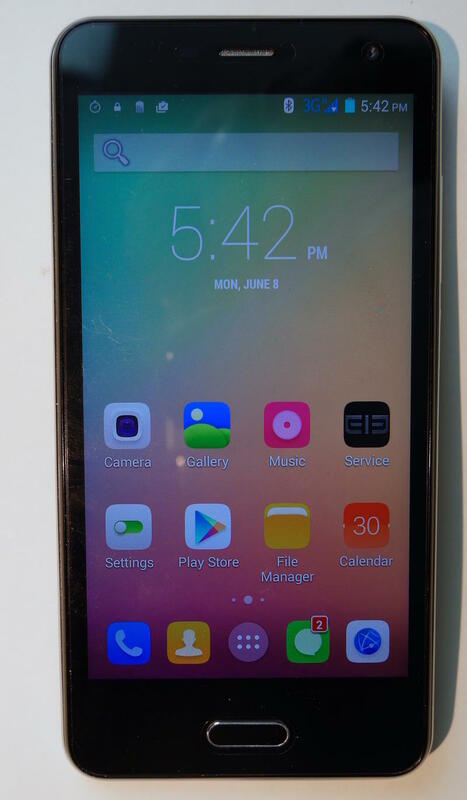 The phone also had a hard time keeping GPS connected, particularly compared with the Nexus 5 and the Oppo N3. I ran into some of the same Bluetooth connection and connectivity problems I uncovered while testing Huawei’s P8, leading me to believe the built-in Bluetooth chip both phones use probably has some underlying problems. And the fingerprint reader seemed to regularly forget who I was – despite registering my finger a number of times I never did get it to work reliably. That lack of fit and finish also extends to the phone’s error messages. Below you see one of the funniest messages I’ve seen in a long time. It came up when I selected the Elephone logo on the main screen. I’m not sure what it’s saying, but I’m virtually certain that “Nevery” is not an English word – outside of Sarah Prineas’ Magic Thief trilogy, of course. If you’re looking for a phone with a huge battery, the Huawei P8 Max has a 4360 mAh battery, which promises far more than a day of power – although you could probably buy 4 P5000s for the price of the P8 Max. The company’s Ascend Mate 2 can be had for only a few dollars more than the P8000, and includes a quite respectable 3900 mAh battery and supports 4G – although it only runs Jelly Bean compared to the P5000’s KitKat. And the OnePlus One reportedly gets pretty good battery life out of its 3100 mAh battery and it’s a far better phone overall than the P5000. Still, if you want a phone with the biggest battery out there, and can live with the lack of 4G LTE and the annoying problems I observed above, you might find the P5000 useful. 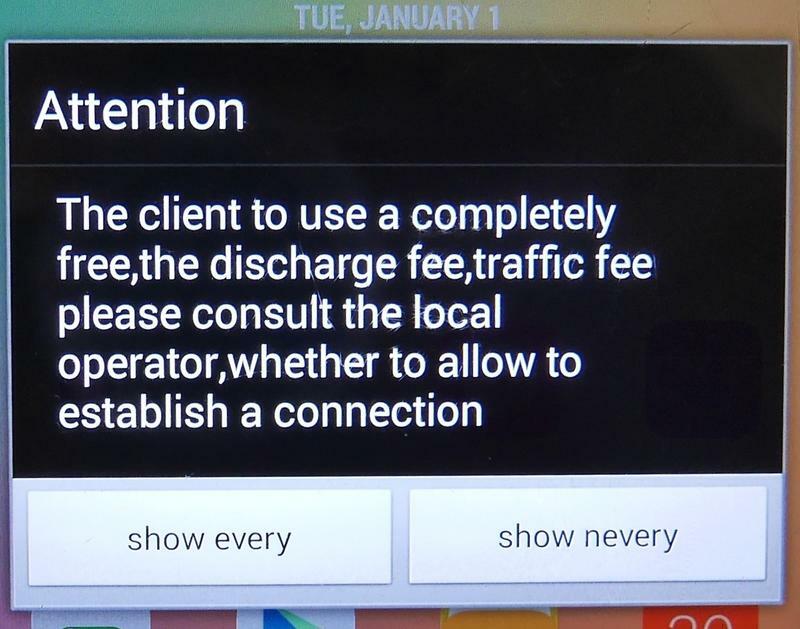 But for most users, I’d shy away – unless you want to remind your phone who it is and where you are nearly every day.